Take a look at the latest works of Pablo Sujo or contact them in Buenos Aires directly. Find on Production Paradise the best creative professionals and production services for advertising photographers, beauty photographers, children photographers, fashion photographers, lingerie & swimwear photographers, sports photographers. Pablo has more than 10 years' experience in commercial photography, doing more than 30 campaigns per year. 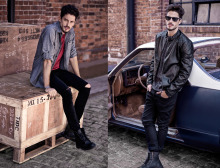 Recent work took him to NYC, Miami and Brazil to shoot for Diesel, Forever Jewels, Lazaro Leathers, Vancouver Jeans, Skayne Shoes and Wassarette Swimwear. His photography skills allwo him to create harmonious and high impact images. He has an easygoing nature and is very helpful with art directors, models and clients alike. Pablo believes in beauty as a healthy thing about humanity, something that is worth contemplating and is a stimulus for happiness and harmony. Pablo is EXCELLENT both as a photographer and in working to achieve great results, very helpful, a great partner to deal with, is receptive to any kind of suggestion from the designers and is greatly commendable!! His work is spectacular!! Pablo is an excellent professional who displays the artistic and creative vision needed to enhance clients’ products. He is highly adaptable to each client’s needs and knows how to interpret a brands’ creative challenges. His people skills make working with him a very agreeable experience. Pablo Sujo has more than 10 years’ experience in commercial photography, and he is used to shooting more than 30 campaigns per-year. Conveniently, he is based in Argentina, given the changing economy and the availability of excellent models, locations and professionals. 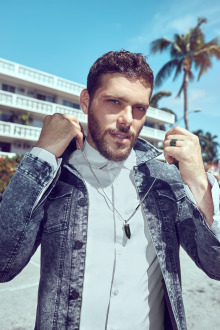 His latest work was in NYC, Miami and Brazil shooting for Diesel, ForeverJewels, Lazaro Leathers, Vancouver Jeans, Skayne Shoes and Wassarette Swimwear. He creates harmonious and high impact images, always taking into account the natural aesthetics and the relevance for social networks and traditional advertising. Pablo can offer clients a customised one-stop-shop solution model. Visit his website or Instagram for more information.